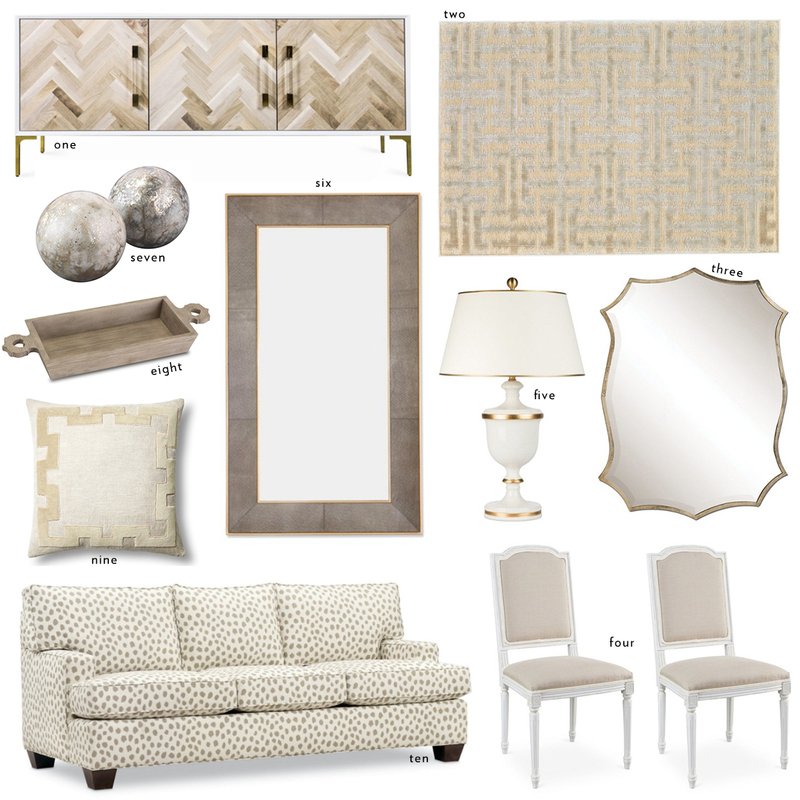 I was planning on doing another Under $100 collage this week, but just couldn’t find enough pieces I liked… so I’ve switched gears and thought I’d share a few pretty neutral finds that have me inspired at the moment. I’ve still got a ways to go with decorating my house, but one big thing is happening today! I’m having my master bedroom, office and dining room rugs installed today. The first two I found at The Collective in Dallas (such pretty options at great prices!! ), and the third is this jute from Annie Selke. I knew I wanted a jute in my dining room so as to not compete with the Oushak in the living space right next to it. After bringing a few samples home to try, I decided the bleached oak color would be best! I made sure to take my shoes off and feel it with my feet, and it is oh so comfortable. What I love most about this jute is the elegant, oversized weave. While a jute is definitely more casual than an Oushak, the oversized, somewhat shiny weave gives it a chic, elevated look. Can’t wait to see it once it’s installed this afternoon! This coffee table is so pretty and currently on sale! The hand-carved base will add some texture to your living room. Not gonna lie, I actually really love this daybed. It’s a little boho for my usual taste, but I feel like it would look so cool in a modern space with lots of greenery around it! This sideboard would be an elegant addition to any dining room. This couch looks incredibly soft and comfortable – definitely a good option for your living room! These nightstands are so pretty! They’re a little more ivory than mine, but they’re also less expensive. This natural side table is under $200 and would look gorgeous in any neutral space! If you have a small living space, this piece would be a unique coffee table, or use it at a side table in any larger space! If you missed the story on SnapChat, I’m now on the hunt for new dining chairs after realizing I didn’t have enough of the ones I thought I was going to use… these chairs are stunning and simple, and are a great price! This natural armchair is under $300 and looks SO comfortable! The perfect lounger for binge-watching on Netflix.